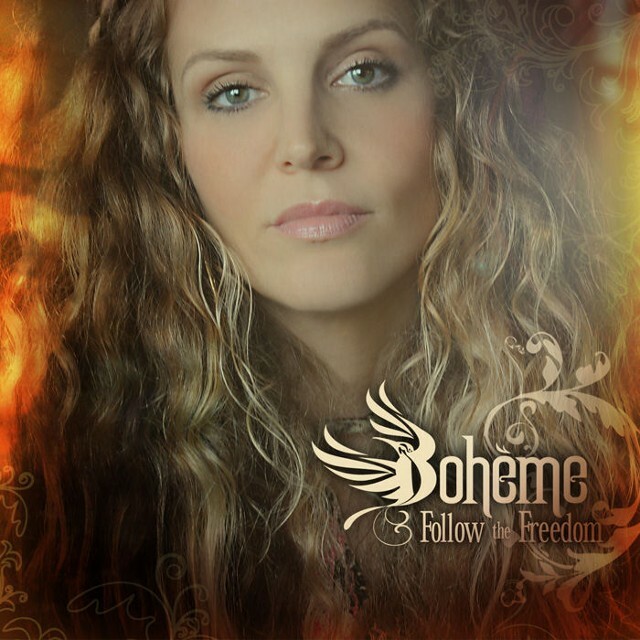 Cassidy Catanzaro/Bohème whom released her debut album "Follow The Freedom" on February 27, 2012 speaks candidly about working with Steve Perry, who sang Backing Vocals on her track "Follow The Freedom". The Remix track featuring Steve Perry was released on March 07, 2012 and is available for download on Bohème Facebook Page. Bohème, a name taken by Cassidy Catanzaro, an established and acclaimed musician, singer, songwriter, producer and entrepreneur, to mark a new chapter in her career, and in her life. 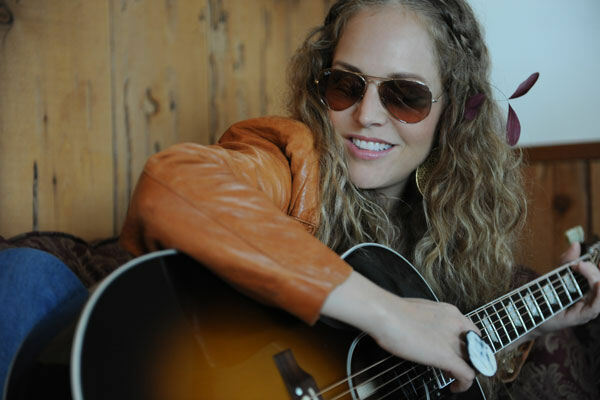 From late 1999 to early 2008, Cassidy was the front-woman and primary songwriter in Antigone Rising. After releasing four independent albums, the all-female rock band was signed to Lava/Atlantic Records, and its 2005 major label debut From the Ground Up sold upwards of 500,000 copies. Celebrated for the excitement of her live performances, Cassidy toured/played shows with The Rolling Stones, Aerosmith, Dave Matthews, Rob Thomas, The Allman Brothers, Macy Gray, Raphael Saadiq, Charice & Norah Jones. LOUISE: I'd like to thank you for taking time to give us this Interview. Can you share what led up to you meeting Steve? CASSIDY: So first of all I just have to start out by saying I am a long time Steve Perry fan, much like the fans and much like yourself. So we share a love of the man, and the music and the band and the whole thing and the songs. I have to say I think I really learned how to sing from singing his albums. And I still have a lot of those albums on vinyl. My parents were fans, and we always had the music in the house. I grew up in a town in Northern New Jersey. Which is up near the Delaware Water-gap, right near the Pennsylvania border. There's a lot of mountains up there and there's not a lot of Radio Stations into our town. So the only real radio station that you could get like, in your car, or house was Classic Rock stations. And they played a lot of Journey and my parents always listened to a lot of Journey and we always had the albums in the house, so that for me, this was the music I grew up listening to even though it was a little before my generation, to me it was the only music there was. So, I understood music as bands like Cheap Trick and Styx and all those great Arena-Rock bands. And Steve Perry for me just had that voice that just cut through everybody and everything and was so unique, and was so compelling. And as a little girl, I remember sitting and listening to those records and trying to hit all those notes and loving all those melodies and even as a child, I could feel the emotion of those songs and the emotion in his voice, and understanding that it was special, even though I didn't necessarily have the depth like an adult would. I got that there was something special and different about Steve Perry. So when I had the opportunity to meet him and get to work with him, to me it just felt like my whole life had come full circle. Just to be in the room with him was like, oh my gosh, I started out listening to this guy and now, on my very first solo album I'm involved with him in this way, and it almost felt like a little bit of a "Wink from the Gods", if that makes sense. LOUISE: So, how did you come to meet Steve? CASSIDY: Well it was kind of a fluke. I had already recorded the album, it was already finished and I was actually in the mixing process of the album when I met Steve. And he was in the general area, I guess, I'm not even sure what he was doing in the area. It was just one of those divine intervention things. He was close by and he heard the music in that room and it was my record and so he went in and he wanted to know who it was and that he loved my voice and he was drawn to the melodies, and drawn to my voice. And we had never met. So I went in the next day and wanted to see how the mixing of my album was going. And there he was, sitting in my mixing bay, and he came back the next day because he said he was excited about it. A little about my history, I was in a band for many years and had a big fan base, so I immediately thought to myself, oh maybe there was a fan in the building and wanted to meet me. You know, from my former band. And I thought it would be so funny if they wanted to meet me. So, I thought it was just a fan, an everyday regular person. I said, “You taught me to sing,” and he said, “I did? Well, no wonder you sound so good!” And we laughed. Right away he made me feel comfortable, because he made a joke. He was really kind and went on to tell me that he wanted to know about the music I was working on and my background, so before you knew it, we started talking everyday about how my influences was from his era, and I realized how I had been shaped by that era, and his music, his most prolific and his most famous songs. So we bonded over that. And we bonded over the singing. It is so important to me, it's such a big part of who I am and what I do as a performer. The vocal part of it, and I know that is how he identifies himself also. And I said, “Well of course you can sing it to me.” So he was singing to me what he thought a good rendition to the song. And I said, “Oh my gosh, where were you when I was recording this thing. That would have been so cool.” He said it was not too late, we can throw up a couple of mics and do this right now. I just couldn't believe my ears ! So they threw up a couple of microphones, well actually only one mic, and the two of us sang over the same mic, and we sang the backing vocals together, and added this fabulous moment to my song, Follow The Freedom. That really never would have been there if he hadn't shown up. It wasn't that he was just being complementary, he was spending time there, mentoring me and showing me some tricks in the post-production process, so as a total surprise and bonus, he sang on the album. And it was at that moment I felt like I almost left my body. I just couldn't believe it. Then he came to a show of mine in Los Angeles to show support for me. And he's been more generous than anyone would ever imagine and more than anyone would ever expect. I was totally humbled by that experience, and it has made this album feel so special to me in a way that you can never really express. It was already going to be a special experience, but that really put it over the top. LOUISE: What was the best piece of advice or the best “Trick” that he gave you? CASSIDY: Well, you can't reveal a magicians tricks. But what I can say and will say, is that he showed me a trick for how they got his voice to sound so “soaring”, you know, his voice will soar anyway and that certainly has to do with the singer. I mean you can't make that stuff up. So you have to have a certain kind of voice where you can hold out those really big notes. So he showed me a trick he learned back in the seventies, and how to make it even more angelic sounding and when he showed it to me, I realized that's what all those old Journey records sounded like. It felt like he was passing the baton.Then he said to me, “Now don't tell anyone my secrets,” and I said “Don't worry I won't.” I have to say he showed me something really magical. LOUISE: Your voice and Steve's complement each other. Would you ever consider doing a duet with him? CASSIDY: Thank you. Oh my God, I mean it would be a dream for me to do something like that. It's certainly something he and I discussed after a while in the studio. Possibly writing together, possibly working together. And of course, that kind of decision would be up to Steve in the end. I know that he is writing and doing stuff at his house. He's creating and being creative, now whether or not that will come to fruition, I don't know. But not only would I consider it, I'd sell my first born to do it ! LOUISE: If you could describe Steve Perry in one word, what would it be? CASSIDY: Oh gosh, I would say magic. He's just magical. LOUISE: Is there a chance of a Video featuring Steve of the song Follow The Freedom? CASSIDY: Well again, it's something I've dreamed of and something I certainly would ask him to do. But you know Steve is an incredibly private man and rightfully so. You know he's got a great life and an outstanding career. And you know he's at that stage in his life where's he's just enjoying it and he's not really out in the public much anymore. So you know, it's not a simple decision and it's for him to make. But I certainly will ask, but never be offended if he said no because I really do understand that he really cherishes the privacy of his life. LOUISE: I do too. So many of the fans are just dying to hear something new from him. You know, I do think it flatters him and he's really humble, just an extremely humble human being and I do think, when the time is right, we'll see him again, I think. LOUISE: And yes, that is his decision to make. He has given us so much over the years and given us so much of himself and so we just might be a little selfish to want him to come back and give us more. CASSIDY: I know and I thought like that too and it's so nice you said that and feel like that and that the fans share that sentiment too because I agree. You know, his music has stood the test of time and continues to do so much for everyone, who loves him and the music. And we were so lucky to have what he gave us all. And your right, in a lot of ways it is enough and in other ways you want more. Because he's so amazing and so few artists can say that they have given so much of to their fans and that if he never gives anything else, he's given us his heart and soul and he's given 100%. He's one of those rare artists that can actually say that. LOUISE: I think this is a great collaboration and I have really enjoyed your album over the past few days. I've read on your website about what some of your inspirations were in writing this album. What inspired Follow The Freedom? CASSIDY: Follow The Freedom, well the whole album is a little heavy and a little metaphysical. And some of it applies to everyone. It really applies to me as I was in between projects. I had a band for eight years and I left the band and took some time off. I didn't really know what I wanted to do. But I knew I wanted to make music. It had broken my heart a little bit and it had been a little tough on me and, you know, I was feeling a little sorry for myself. And what happened was I realized I had to take responsibility for what went wrong. I needed to turn inward and say, okay, what could I have done better? What could I do different next time. So, when you do that, you realize you have to remove the obstacles in your life. You have a better chance of getting to your end goal. So the whole album, every single song has that sort of theme in one way or another, and Follow The Freedom encompasses all of it. Follow The Freedom, follow the path of least resistance. Follow the road that gets you where you want to be. Which is ultimately being free, because your living your life the way you want to live it. I co-wrote that song with Brian Chiusano which is also in my band. And he is so talented, a young guy, and he came to my house one day. And he just had that opening guitar riff, and I heard it. I just heard that guitar riff and wanted to write a song to it. And so he played it into my computer and he went home and I sat with it and I wrote the song Follow The Freedom, based off what I was going through and also that fantastic guitar riff by Brian. I realized once all the songs were done that was going to be the title track. LOUISE: I heard Blind Spot on the radio a few times. Though I was not familiar with it, but which song has received the most radio airtime? CASSIDY: Definitely Blind Spot. You know, my business is sort of crazy, if you think about it. It's like a television show or a movie. You have to put the TV or music in front of a kept audience and say which one do you think is going to reach the most people? Did you like this, or what did you not like about that? And so after all of that kind of research, everyone sort of agreed in mass marketing. So in all different markets across the country, everyone agreed that Blind Spot was going to be the most radio friendly in the beginning. I love Blind Spot, it's one of my favorite tracks on the album and it means the world to me. I think it's got a little bit of an attitude to it. I love the message of that song. So that's the one that's gone to radio first and I have to say it's doing really well. LOUISE: I love Even The Mistakes too. CASSIDY: Thank you. Actually I thought that was gonna be the one to go to radio originally. And it ended up being Blind Spot but I do think at some point we're going to go to radio with that one too. LOUISE: You said that the song Even The Mistakes gave you permission to screw up and the bad times aren't forever and they happen for a reason. CASSIDY: I think that is what I was sort of going through at that time and you know, sometimes we make mistakes in our life and we're afraid to put it behind us and to keep moving forward. Because we're going to screw up again and the truth is, all that stuff happens and it leads you to the next place and you learn from it. Or you went left instead of going right, it ended up being a good thing instead of a bad thing in the end and you look back on your life and at least you went for it. And at the end of your life you can say, at least I went for it and I didn't get scared and I didn't let it stop me. And I realized that even the mistakes can be great. Even the mistakes are all part of it. It's not like one thing is good, one thing is bad, there's no such thing as that, and I just had to realize that. Because I was scared. I was scared to come back out with music. But I had to forgive myself and move on. CASSIDY: Oh that's great! Oh, thank you Louise. That's the point! That's the whole reason I do it. LOUISE: I personally think you made a great choice for your first Video. LOUISE: And I enjoyed the Video as well. LOUISE: Do you have any plans on pursuing an acting career? CASSIDY: I do, I definitely do. I am always keeping my eyes open. Now and then when there's a good opportunity for me my agent will send me out on a certain thing. And I'm getting very, very close to getting something right now. But I can't really say anything about it right now because I haven't gotten it yet. I'll know in about a week or so. But that involves some acting. So that's very exciting for me. But you know, you kind of have to pick a lane, so to speak. You have to decide am I going down this road or am I going down that road. But of course, if you go down both roads then neither one is going to be getting my full attention, so I have to figure out which one is going to be my focus right now. So when the music thing started happening, I kinda put acting on hold a little bit. So I still keep my eyes open and I still picture myself doing that. But there's still room for that when the time comes. The music is definitely my focus right now. However, I am still studying acting and Improv and all those things to keep my tools sharpened for when I get the opportunity. CASSIDY: And a Producer. I produced the album. It's been a very busy couple of years for me. LOUISE: So are you planning on a follow-up album within the next couple of years? CASSIDY: For sure. I took a couple of years off but that won't happen again. I mean, on this album, I'm going to be working it for about a year, and in the meantime, I'm going to be writing another one. And I'm going to figure out how to record it. I built a little studio in my house so it will be easy for me to run and lay some songs down. It's certainly made things easier on me. I'm always writing, and I've got a lot of songs and I'm looking forward to keep putting music out. So there will be stuff all the time now. Even if it's just a new track, I'm going to be putting it out. LOUISE: We look forward to hearing it. So, what advice would you give to someone who wants to pursue a musical career? CASSIDY: The best advice I can give to somebody is to thy own self be true. And don't let what anyone else is doing distance the authenticity of what your doing. If you've got something you do and you love it, and it doesn't sound what the hot thing they are playing on the radio right now sounds like, don't worry about it. Don't even think about it. Be true to yourself. I think that would be my advice. LOUISE: Well, Cassidy, thank you for taking the time to give us this Interview. We will be listening for your new work soon.